Does this sound familiar? Like many people these days I find I am a multi-tasker, that is when I am not procrastinating from a top priority. We fool ourselves into thinking we can do different tasks at an acceptable level of competence at the same time. A favorite example of why this is wrong is a very common practice that I indulge in myself; listening to music while eating. It certainly is more pleasant than gobbling food between tasks. If you are really honest you will admit that you are not quite catching all the music which might be better enjoyed laying down in the dark with earphones. On the other hand the music can distract you so that you eat more than you might otherwise or you don't chew as thoroughly as you might otherwise or you might not savour the flavours quite as much. That doesn't mean you shouldn't do it, but don't kid yourself you are getting the most out of both activities. There are only two things you can do at one time giving them both justice. They are waiting and anything else. If we are really honest most salespeople are really waiting for that easy order--the huge one that comes over the phone and for the whole package with no questions asked. Once in awhile you might get that, but more than likely, success was achieved while doing some work while waiting. The same thing happens with any task--you can hope someone else does it while giving you credit or do something while you are waiting for that to happen. Waiting demands patience. Don't jump the gun or you might disqualify yourself or delay more productive efforts. At the same time you have to be ready to leap at what might be a very time sensitive window. The two most important focuses of a sales person are first to communicate directly with a realistic prospect (a customer is a prospect for a future sale or referral) and the second is to be prepared for that opportunity. Preparing can take an infinite amount of time. It involves knowing all about what you are hoping to sell, identifying reasonable targets for the effort, persuading someone with some influence to let you make your case, presenting in the most optimal manner and following up. If you do all those things fairly well you might do more than sell a few products to one person; you might start a chain of repeats and referrals. Eventually you might receive that mythical phone call (or email). We all know that some things are more important than others. Some of us have thought deeply and developed goals that tie into what we most value. Having a goal and a purpose is vital to deciding what you should do at any moment. What tasks will contribute to that goal/purpose? How would you rank them in importance? You want to talk to some important decision maker, but she is busy or on vacation or just not able to give you proper attention. Determining a more acceptable time should be a priority. If possible you might want to talk to some other person. If that is difficult or not quite the right time you can check your other priorities--identifying other people to talk to, information to master, presentation skills to master, following up on those you talked to before, doing the paper work. A priority that often gets overlooked is rest. You know when you are not rested you don't think quite as clearly, you get irritated more easily and you miss some details that could make a difference. Another priority that gets overlooked is the need for exercise and to eat properly. An unhealthy person is handicapped and will find it difficult to keep pace with all the demands of selling (or much of anything else). There is usually some kind of trade off between time and money. After all you want to have some time to enjoy whatever it is you value most. If you make more money in less time that seems to be the ideal solution, but others feel they not only need to make more money in less time, they need to work longer to get the really precious things they desire. Maybe you have that sort of choice. A lot of people on a "normal" job are really just waiting for that cheque at the end of the week that will solve a few problems (like food clothing, shelter and FUN). While they are waiting they might do better to concentrate on doing a good job which to me means being both efficient and effective. If you can satisfy the one paying you, you just might end up not only getting to work more, but to work at something more challenging and rewarding. Several times a day force yourself to answer this question, "What is the best use of my time right NOW?" Have it flash on your computer, have a note on your desk or on your calendar. If you have done all the preliminary sorting out of what your goals are this question will direct your actions in a productive manner. Maybe all you need is a picture that symbolizes your goal. For a salesman the real boss is the customer. You don't need to turn everyone into a customer, but you do need to find enough customers to make the effort worthwhile. Everyone should remember that nothing happens until somebody sells something. The photo is of Sharon, my wife in front of a Veradero sunset. I hope to arrange my time in such a way that I can have that view a few more times. If you are one of those Canadians whose only awareness of Bollywood comes when you channel surf you may not realize that Bollywood is coming to Canada in a big way. So what, you say. As a WASP, my route to Bollywood has been herky jerky, but I realize it is a BIG DEAL (or opportunity for some). First India makes more movies than North America (with a wide range of genres and styles). Second they have spent a lot of money in Canada and the United States and seem to enjoy doing so. Third, it is time to develop some appreciation of what turns on over one fifth of the world's population. The International Indian Film Academy (IIFA) has been putting up big awards show since 2000, always outside of India, covering Europe. Asia and South Africa. This is the first year it has been held in North America. One of the reasons has to do with the Toronto International Film Festival which impressed some key decision makers. June 23rd to 25th is shaping up to be a very big weekend with promotional activities already started. They put on an impressive show with lots of celebrities, and dazzling performances from some top Bollywood stars and local performers, capped by the awards for the best contributions to the Indian films of the past year. They have some interesting awards in addition to the usual sort you expect at the Oscars. For instance they have an award for the top comic actor, the top negative (Villain) performer, playback singers (those who do the actual singing that is synched by the actors on screen) and Dialogue writing. Before the weekend there are dozens of activities all around Greater Toronto including free films in parks, celebrity events. Some movies will be premiered here in Canada. The big awards event will be at the Rogers Centre and they anticipate a sell out. Politicians have not been slow to take advantage. In the recent election Steven Harper had some Bollywood stars, such as Akshay Kumar who danced with Laura Harper at some of his rallies. Akshay was one of the torch bearers for the Olympic Games held in Vancouver. Dalton McGuinty has taken part in photo ops including with Preity Zinta (to the right in above photo) and Anil Kapoor to promote the upcoming events. To make their movies more glamourous Bollywood film many of their movies overseas. Toronto has been a favorite. They don't pretend it is another city--they glory in it being Toronto. One of my favorites Kal Ho Na Ho was set to be filmed in Toronto when the SARS scare occurred and they were forced to switch to New York. Still there is one part of the movie that shows recognizable parts of Toronto very positively. After the scare they looked for more reasons to come back and found them. A recent release "Thank You" is very clear the story takes place in Toronto. In a few weeks Russell Peters will be seen in co-production, called "Breakaway" about a future Indian striving to make the Toronto Maple Leafs. Some of my favorites include Shah Rukh Khan (pictured left in first photo), Aamir Khan, veteran Abitabh Bachchan on the male side with upcomers Imran Khan and Ranbir Kapoor. On the female side I love to watch Kajol, Preity Zinta (to the right in above photo), Kareena Kapoor and newcomers Deepika Padukone and Asin. An impressive producer, director and actor, Farhan Aktar still might be considered young. Who are your favorites?--love to know. Many hate the term Bollywood and I use it mainly to make sure you know what I am talking about (or at least think you do). India is a huge country with diverse cultures, speaking many different languages with English being one of the glues. Bollywood was a combination of Hollywood and Bombay--Bombay is now Mumbai. There is more to Indian movies than Hindi musicals based in Mumbai, but why not let go of your cultural inhibitions and enjoy--billions of others already do. Bollywood is certainly one of my favorite topics and I plan to blog about it at least once a month. 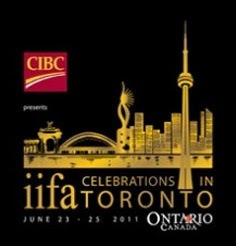 First photo is of a favorite Bollywood movie, "Kal Ho Na Ho" the second is the IIFA logo for Toronto. Ian Morris, the author goes beyond the titillating title and makes numerous interesting points about our human cultural history. Readers are attracted to the idea in the title because of their own cultural bias and prejudices. We may be part of the dominant culture, or maybe we are about to become the dominant culture or maybe we should be concerned about who dominates or the dynamics. One of his favorite methods is to use fictional analogies and he starts off with a story that caught me off guard. I thought I had missed some bits of history, but before too long I realized this was not only fiction, but really science fiction. The best science fiction is basically twisting a fact and see how it affects how people relate to one another. In this case the author speculates on how society would have evolved if just a few details were changed. He suggested that instead of the Chinese kow towing to the superior British, it could easily have been reversed if culture had evolved a little differently. History doesn't begin with the written word, but goes back much further. For instance Neanderthals play a role in the Eastern Western dichotomy, but not in Africa. The author devises a system for comparing cultures. He identifies four criteria: energy capture, urbanism, information processing and capacity to make war. The data is a little difficult to pin down, but he uses reasonable comparative information. I agree his system is very arbitrary, but useful to explain progress in any culture system. For most of history both sides (East and West with some acknowledgement of Africa and America) evolve very similarly and very slowly by recent memory. Each side has some advantages, but at various points circumstances combined to give one side a chance to move ahead. Edible plants, soil, tamable animals, river systems and other factors play key roles in developing a culture. Europe being closer to North America than Asia, by itself encouraged outward exploration. With the start of the Industrial Revolution western civilization surged ahead. Ian feels that the three main motors of history are fear, sloth and greed. One contention is that developments are not just due to some individual genius that one side or the other has more of, but happen when the time is right. For instance when the telephone was invented there were others on the verge and there was a contest to determine the winner. Yes, individuals found themselves in position of making monumental decisions, however the author might say they were set up to be in those positions, but admits they could have decided differently, or have been replaced. He has built upon other authors. Jared Diamond is one that I admired for his analysis that cultural development has a strong geographical component. Martin Jacques is another who is considered an expert on Chinese development. For the future Mr Morris sees two likelihoods. One possibility is what he terms "singularity" which is sort of a blending of cultures with world political unity. East and West have been borrowing from each other for a millennium with important contributions from America and Africa for centuries. The other possibility he calls "nightfall" which is disaster which is what has fallen to individual civilizations from the beginning, but now could involve all mankind. The world is globalized and our concerns cross all borders demanding co-ordination. He quotes Albert Einstein, "If the idea of world government is not realistic, then there is only one realistic view of our future: wholesale destruction of man by man." Necessity has been the mother invention in the past and hopefully will be for the future. I almost forgot, Ian Morris sees that the East should overcome the West in this century, but that is not as important as the race between singularity and nightfall. I confess that I have never really done any retail work. I have worked with literally thousands of retailers and have learned a lot of valuable things. I thank you not only for selling my products or buying my services, but also for giving me valuable insights into what you and your customers like and don't like about my products/services and for general trade news. You listen to your customers to determine how you can satisfy them right away or in the future. When you listen to a reasonable sales rep you learn ways to better satisfy your customers and get a chance to explain your concerns. It might seem a bit presumptuous for me to think my experience could be of any value for you, but I have three other perspectives that give me some insight. Specifically at one time I sold from a catalogue. I would be the first to admit, I knew very little about most of the thousands of items for sale. Pricing, convenience and my personal presence were my primary tools. My competition at the beginning had a killer edge over me-knowledge. Does that sound familiar? What I didn't quite understand was that the people I was trying to impress had their own problems. Sure pricing and convenience might help and I suppose some prospects felt I was an amusing time waster. I did learn from talking to them and went back to my supervisors and gained some information. My company realized that knowledge would help close the advantage enjoyed by my competition. We visited manufacturing sites and listened to different product experts willing to visit us. In some cases I developed relationships to help me when I needed more information (or a favour). As time went on I was genuinely able to solve some problems for my prospects. Many of them were grateful and not only bought from me, but gave me leads and useful information. One sales supervisor pointed out to me that when I talk to the customer(or prospect) I represent the company and should explain what we offer as positively and accurately as possible. When I go back to the company I represent the customer and should let the company know what it has to do to satisfy the customer and what relevant concerns they have. I have always tried to do that. A second key perspective I have is that I and my family shop at retailers a lot. I am not a big spender, but it all adds up. Sometimes like your other customers I am just looking for a convenient place and time to buy what I want. If the price is not out of line with my expectations an easy sale is made. Sometimes I am not too sure what I really want--I just have some sort of problem. If the retailer can give me good advice (including going to another specific source) I remember and seek their advice again when appropriate. Sometimes I have been given unsolicited advice which often turned out to be in my best interest. One good example of that was asking Nabourhood Home Hardware (on Barton St in Hamilton) for advice on doing some complicated plumbing. I realized I needed someone to actually do the work. They suggested a fellow, Don Heroux who is now a friend of the family. I have not forgotten. You as a retailer and me as a salesman both have the need to solve problems as the core of our business. The more knowledgeable you are about what I sell the better for me, BUT also better for you. Maybe because you sold something you might not have otherwise, or maybe because you solved a problem the customer keeps coming back. I try not to interfere with your customer flow and I realize sometimes you are just too busy to talk with me when I come unannounced. Sometimes it must seem I am just another annoying problem on a tiring day. Let's keep the door open. I hope to keep on learning from you and that I can maybe pass on some knowledge that will enrich us both. The photo is an interesting watermill type of fountain I saw while calling on retailers in Orangeville. Looking for something interesting to view I stumbled on "Bliss" in the Hamilton Library system. After some research (really just skimming) I reserved a DVD thinking at least I would get a perspective on movies from Turkey. When it actually came I wasn't initially very excited, but before too long I was hooked. I watched it a second time and started reading about it and the writer of the original novel. More recently I read the book. It is common for movie goers to say the book is better than the movie and mostly I would agree. For this comparison I would say they are different with their own merits and demerits. The key person in all this is the author Zulfu Livaneli. He had not crossed my radar, but he seems like a modern Renaissance man, deserving of wider recognition. Zulfu has written several books, and also screenplays, many of which have achieved international recognition. He leveraged his literary success into also directing successful movies. All that is interesting, but lots of writers can boast a similar resume. He is also a well regarded folk singer/musician who composes, also at an international level (by international I am not necessarily including North America in a big way). A concert featuring him in Ankara, the Turkish capital attracted over 500,000 visitors. His history goes on. He has been involved in cross cultural projects such as collaborating with famous Greek Mika Theodorakis. He is a regular newspaper columnist. For one term he was an elected parliamentarian where he broke with his party and finished his term as an indepedent. His concerns include that Turks should think of themselves as a nation (of many backgrounds) rather than a race. Another issue is youth and their predisposition to go astray. The two versions of "Bliss" present an interesting contrast. I think I was fortunate to have seen the movie first and then read the book and would advise any curious readers to follow that example. There is some mystery involved so I will try to avoid giving too many clues that will spoil the two different endings. Both are centered around what are often called "honour" killings. In reality this tradition, still prevalent in some European and Asian cultures, is where the victim is blamed for something shameful. In this case a young girl is raped and chooses not to publicly blame the guilty party. It is set in a rural, isolated part of Turkey and when females are raped it is considered shameful for the whole community. The young girl, Maryem, although encouraged to do so decides not to take her own life. Cemal, just returning from army service is chosen to take her away to the big city of Istanbul, where he is instructed to kill her. From there a few other characters are introduced and the plot moves along. Soon they enter the life of the third main character, Irfan, a professor who has escaped from a life of unhappiness (despite much material success and intellectual acceptance). The three of them impact each other in profound ways until the story is resolved. That brief outline defines both movie and book, but there is a world of difference between them. I felt both were very enjoyable and satisfying in their own way. The movie contains a mystery. In the book the mystery is resolved at the beginning and the author deals with what he considers to be more important. The novel's message has more to do with how people inter act and deal with traditions. All three characters are dealt with in much more depth in the book and you understand their perspective much better on the whole. Some of the minor characters are also explained better. If you read the book first you would take a better understanding of the three principal characters and what they are up against. But you would be missing a story tension that in the end highlights the hypocrisy of the tradition in the movie version. There is definitely tension in the book that compels you to carry on, but I would argue it is not as strong. In the book the mystery (already answered to the reader) works out differently and plays a different role in the dynamics. There is a little more social politics in the book regarding the Kurds and Alawites (a relatively minor religious group, but with disproportionate power in nearby Syria). The book has one character that gives the professor an opportunity to discuss various thoughts on Turkish social and political mores that is missing from the movie. The author also shows his musical inclinations with a few references (one, Jean- Pierre Rampal which I am listening to as I write this). The movie ending is actually referred to in the book. One character actually suggests it and the professor replies that that would be a Hollywood ending, implying not realistic. I was predisposed to like the movie ending as suspenseful and poetic justice, but Livaneli was striving for a different message and was equally effective to my way of thinking. The movie is also enjoyable, not only for how the mystery adds suspense, but for a number of mechanical details. Livaneli as a well regarded writer and director of movies was given the option of writing or directing the movie and he rejected both. Instead he opted to write the music (which he had done for several other movies). That was one of the enjoyable mechanics I noticed before realizing the composer was also the novelist. I had read and now agree that it seems a combination of folk music modernized. Another mechanic factor is the cinematography. I had read about one trick in the introduction and watched that part several times afterwards. It is an aerial view of a flock of sheep circling counter clockwise that is mesmerizing. The movie/DVD viewer gets some gorgeous views of Turkey, both rural and Istanbul that are captivating (sorry about the cliches, but they do apply). Two more elements I would include are the acting and the writing. The girl, Ozgu Namal is very well played and likable, but in the movie seems a little more mature than in the book. The two main males, Talat Bulut and Murat Han seem to fit what I later read in the book. The minor film characters all seem believable and lend some realism. The book has more characters than the movie and they advance different themes effectively and in some cases take the story in a different direction. The idea of any movie is to condense the more time consuming book into something that can impact a viewer in an entertaining and possibly educational manner. The script of this movie does pull the viewer in and does deal with the "honour" killing issue and in some ways more effectively points out the hypocrisy. It certainly is entertaining and a joy to recall. Movie executives are inclined to make a story more attractive to non readers and save expense (by cutting out characters and distracting subplots). Sometimes it works and in this case had some benefits. The book is richer in character and political/social commentary. In conclusion I recommend both the movie and the book. To get maximum enjoyment I suggest you see the movie first--if it doesn't entertain you and intrigue you, well I suggest you move onto something more promising. I am glad I read the book and understand the underlying thinking a little better. I will be looking for more outputs of Zulfu Livaneli, whether it be books, films or music. My last blog was about procrastinating. Now I am ready to outline what I plan to do, particularly with this blog. There are few people in this world who feel everyone understands and appreciates them and I am no exception. To make it to this stage I would like to thank a few people. My daughter Heather, above all for offering me a blog and maintaining it even when I didn't make a move for over a year. Michael, my son for inspiring me with his own blog (that I read every chance). One of my bosses, Barry for getting me started on Twitter. My nephews David and Nick Olynyk also deserve thanks for helping me overcome a few obstacles--there are still plenty of them, but some momentum has been established. A blog is almost pointless without an audience. On the other hand I also believe that we all benefit from sorting out our own thoughts and writing them down is a great way to gain some understanding and focus to the future. Great parts of my story will bore most people. Almost any part will be of interest to someone, somewhere. Like most people I have learned a lot of things the hard way, some things have been learned by a conscious effort to take advantage of other people's experience and I have been fortunate to have been given a lot of opportunities. A lot of the time I feel life has been unfair to me, but really thinking about it--the world has been more unfair to a lot more people. To get from where one is to where one wants to be requires some effort and some thinking. Figuring out what you really want is critical. There likely will be many different ways to get there. My aim is to make this blog interesting, explanatory and helpful. As has been offered to me, anyone who will consider my experience and viewpoint can benefit from things I have learned, taking a short cut. We are all born to a unique situation and the first part of our life is spent trying to absorb just where we are and trying to figure out what we want and how to get it. To me a successful writer spends a lot of time re-writing, however a successful blogger must present his writing more often and consequentially spend less time re-writing. I will try to make myself as clear as possible without boring anyone kind enough to read my thoughts. As time goes on you become aware that this is really a big world with many opportunities. Opportunities to progress materially and opportunities to find out what you really want. I am by nature (upbringing and probably genetics) a contrarian. I grew up in Oshawa, "Motor City". My father a truck driver would not buy a General Motors truck and as he became well known a car rally driver wouldn't drive a General Motors vehicle. A source of pride was after my father won the Canadian Winter Rally (his first effort and against the European champion) our family car (a Riley) was on the back cover of a major auto magazine. Always resistant to waves of popularity and always willing to consider some alternative. I have been part of the crowd, but also wandered off to pursue something else of interest. In future blogs I want to explain what I have learned about the sales world, the value of what I am selling now and how I have expanded what I enjoy in life. I enjoy such things as movies, books, music, politics, sports, pets (including horses), nature, food and beverage and more. I am sure all readers will gloss over much of my thoughts, but if they can bear with it they may find some insight that will help them get more out of life. There is a lot I hope to explain and hopefully at least a little worth reading. What I know came from other people. I sought out some of it, but much of it came unexpectedly. I have a quote from John Lawrence Reynolds that I rotate on my office wall, "Experience is what you get when you were expecting something else." If you think about that for a bit, isn't that what life boils down to? I love to talk, to write, to explain, maybe too much to preach. You don't have to agree with or care about everything I express (that would be impossible). I believe in an honest attempt to understand what makes the world work and what makes us work. There is inevitably conflicting evidence. If we can learn to appreciate contrary opinions we can not only work better together, but enjoy more of what life has to offer. A little teaser. My interest in opera comes with a direct connection to Wayne Gretsky and working on my family tree. One of many things I will blog about. The photo I chose is of Tiffany Falls which is a short pleasant walk from a public road in Hamilton and a moment of peace. I have been putting this topic off, because I suffer from it, like many of you. It is intended as a bit of sales advice, but really it affects every thing worth doing. It can be maddening to decide what to do next. There are so many choices and we have a tendency to go on our automatic pilot or in other words be a slave to our habits. We are hit from all directions with ideas of what to do--mostly "buy me" or "you deserve a little fun." or "get back to work." For you to get on your best path, you need to take time and focus on what choices you have. For purposes of this topic I will assume that you, like most of us know there are things that could give you more purpose in life, give you the means to enjoy your favorite things, please those who are important to you, that you keep putting off. Why do you do that? What are our excuses? Fear is a big one. I fear rejection particularly from those who have power or who maybe have not responded positively to my previous efforts. Complications--actually making a decision can be very complicated and making the wrong decision at the wrong time is fearful. Laziness--yes the status quo can be pretty comfortable and maybe with slight adjustments can appear even more comfortable. To get ahead in life successful people have found they need to stretch their comfort zone. Sometimes we have to hit bottom before we are willing to do what needs to be done. Do you really want to hit rock bottom? As a sales man I recognize that in truth there are endless opportunities to make a sales approach and certainly to get better prepared for a sales approach. As a husband and a father I know there are many projects that can make everyone happier. As a human being I know there are things I can do to make life better for everyone. From the world of sales, I remember a closing strategy from Zig Ziglar. He was trying to deal with someone who liked whatever he was trying to sell, but was afraid of finalizing a decision. He boiled it down to three questions, Can you see where this would save you money? Are you interested in saving money? If you were ever going to start saving money when do you think would be the best time to start? You can substitute whatever benefit you prefer for "saving money." The strategy can easily be turned to yourself and any decision you have come to a conclusion about. The best time is NOW! At least start taking the necessary baby steps. For myself, like all of you I have thousands of decisions to make each day and like you there are some decisions that I have thought about and have concluded action is needed. If things don't work out exactly the way I hope (not exactly sure what that entails) action at least removes doubt and provides some feedback for the next decision. I have decided that at this stage of my career and my life I need to get more comfortable with social media and use it more effectively to move me closer to what I really want. The next concrete step is to get more educated about it, but actually doing something to help me get some feedback is even more critical. Blogging and twittering supported by more intense sales efforts and following up is what I need to do. NOW! I would like to thank Heather, Sharon, Len and Barry for helping me reach this stage. Note about photo. It was a rare and unexpected sight from a vacation. I was actually waiting for the bus to take me back to the airport at the end of my Cuban vacation. A person suggested I should look at a unique flower and I tried to put him off. Glad I didn't. I want the opportunity to see such things in the future and not just wait for things to come to me. I had intended to write about something else, but with the death of Osama Bin Laden stirring all sorts of reaction I wanted to get my two cents worth in before it becomes yesterday's news. Like most, I was caught off guard and surprised by some of the details. Three moral questions, at least have arisen that I would like to comment on. First, does this justify torture? I think some of the people claiming that it does are trying to justify their own behaviour and/or take some of the credit. Their political concerns are mostly shameful. We all can acknowledge that we have secrets that we don't want everyone or particular people to know. If we are sufficiently threatened we tend to acknowledge the simple ones. I recognize at some point I would tell you whatever you want to know if I thought it might end my suffering. Some people are tougher than others, some secrets are more critical than others and some would simply lie. In many cases they just don't know. The effectiveness of torturing is not the main reason why torturing was originally banned. Two reasons to ban torture are still relevant. One is to discourage our enemies from torturing "our" side. It is argued our enemies are uncivilized and will torture anyway That may be so, but our example does have some impact, however small. The other reason is our image--are we the sort of people who torture. Getting information can be very vital to our survival, but is torture the only or best way? There are some intelligent people that think that other methods can be more effective. I hope I am never in a position where it matters, but I will respect an honest judgment. What I don't respect is a ritual of torturing as the only solution. The President, Barrack Obama has been criticized for not wanting to publish the photo of the dead Osama bin Laden. A photo would help assure me that he is no longer a threat, but I am reasonably certain that is the case. Bearing in mind the reaction to some Danish cartoons I can foresee the danger of inflaming some people. What is more important? I would say let things calm down before bringing up the subject again. The third moral question is how do we treat Pakistan who many assert had to be actively hiding him. I don't doubt there are more people in Pakistan who sympathized with Osama Bin Laden than you find in most other parts of the world. It does seem almost impossible that some authorities would be unaware of his presence. We will never know all the intricate details, but I suspect the Pakistanis did help. They are in a very tricky position. There is definitely strong anti-American feelings and they cannot be seen to co-operate too closely with their American allies. In very significant ways they are more victimized by terrorists than we are in North America. It is not in our interest to make the Pakistan government look bad to their people. It is not in our interests to further inflame their feelings. As Obama said this is not a time to "spike" it in their face. Most people can understand the American desire to revenge the death of so many Americans who also fear Osama would be plotting as he apparently was to kill more of us. UPDATE: Apparently the Americans used a vaccination program as a cover for pinpointing information on the location of Osama Bin Laden. This has resulted in vaccination program employees being killed and others intimidated setting back their program. I offer these opinions, but do not want to dwell on them. Most people reject the idea of selling as it seems too difficult, too phony or too undignified. But in fact we are all in sales. Today being Mother's Day it might be a good idea to reflect on your first sale. For most of us it was convincing our mother to help us. Not really a hard sale, but one of the most vital. You didn't stop there as you got older and as what you wanted became more sophisticated so did your technique. At some stage you realized that getting people outside your family circle to do what you wanted was more difficult. In truth your mother and father were not always totally devoted to your interests. We all have a need to sell something. At bottom we are selling ourselves, that we are worthy to hire, to befriend, to become more intimate with, our ideas. A lot of our life is devoted to these tasks. At different times in your life you want other people to give you something. It might be a job, their friendship, to accept your idea, to do something together. Sometimes you succeed and often you don't. To get more of what you want from other people you have to learn what might be called sales skills. In all businesses (including non profit) the tasks that generate money or help fulfill your purpose will become ritualized or made routine. As time passes opportunities to improve are identified and someone may recognize an opportunity to sell the idea. If they are successful there is usually a benefit to many of those involved. Formal sales involves selling specific goods or services to people willing to pay for them and as outsiders we can quickly appreciate it is not easy. The problem is your targets tend to be comfortable with what they already have or are very reluctant, even fearful to change their habits. If a product or sale sells itself, it doesn't really need any special sales effort. This only happens after the demand for the product or service has been developed. There is a need for sales. Aside from the fact that nothing happens until someone sells something, a lot of good things are waiting for the right person to persuade someone else to start the ball rolling. I believe working together we can all sell better and serve the world better. I have been selling for a few decades and unlike many who write books or give seminars I would not describe myself as a model of success. I would say I have identified a lot of aspects of the selling effort that make a difference. Some I learned the hard way, by making mistakes and others I learned by reading or listening to more successful sales people. In future blogs I will offer bits of what I have learned and hope that you will share your experience in a positive way. Education is the one force that can change the world for the better or by its lack plunge us into disaster. In many parts of the world education is revered and appreciated as the one tool that can elevate an individual's standing in the world. Many leaders recognize that education benefits the whole nation. Why is it that education is one of the areas that is short changed. Maybe you think teachers have it pretty good and there is nothing better than the life of a student (I share that last proposition). In our culture and that of the United States there is a resistance to spending more money on education and in times of financial stress educational cutbacks are not unusual. Canadians and Americans have access to reports that we are falling behind many foreign nations in education. There is some concern and lots of reasons given. Some people, like me are quick to blame. Looking at it more deeply, it is not any one part of society that needs to accept responsibility, rather it is society as a whole. Successful politicians don't get elected by going against the wishes of voters and so it is fair to say they are responding to what the voters indicate they prefer. As a society we give our biggest rewards to entertainers and those who are able to manipulate money. We put a big premium on enjoying life rather than building for a better more purposeful life. If there is some problem with education it must be somebody's fault. Teachers have it easy with long summer vacations. Politicians are greedy. But really the more people (who actually vote) value education the more you will see put into it. What could be put into it? Of marginal value might be better facilities and tools (like computers). Of greater value might be such things as better teacher training, higher salaries, a longer school year and perhaps most importantly might be a lower teacher to student ratio. I didn't mean to leave out more financial support for worthy students to higher levels of education. Every student is precious and could benefit not only themselves, but all of us, from closer attention. Although I do not believe fitting the job market is the only purpose of education we could better encourage students to identify their natural talents and to pursue a path that best suits their talent, allowing for societal needs. In some locations there is a lot of talk about how bad teachers dominate educational discussions. Undoubtedly there are "bad" teachers as there are bad employees in every function. Part of that might be a mismatch of talent to available jobs, part might be there isn't enough parental understanding and support or enough incentives to attract the best talent. Unions are criticized for protecting bad teachers, but without them how many good teachers would give up and search elsewhere for a high paying job with more respect. I do not believe that all unions have a high priority of protecting bad teachers as it only reflects poorly on them. Teachers do need protection and support. The ultimate purpose of education is to promote more fulfilling lives for individuals and to better deal with the many problems of society. I believe these two goals are compatible. Leaving the best education to those who can afford it means talent is not recognized, not developed and probably a misallocation of limited human resources. As a nation we all (rich and poor, young and old) benefit from an educated worker, an educated citizen, an educated consumer and an educated voter. As a globalized world we have an opportunity to more effectively deal with truly global problems such as justice, arms control including nuclear, climate change, energy shortages, inequality. One of the obstacles is that we really don't understand one another. We don't necessarily have our best available brains working on the most serious problems or even identifying the highest priorities. Education is very basic to all other functions of society. There are two ways to learn things. The first is the hard way, by actual experience which can sometimes even be fatal and certainly lead up many dead ends and poor choices. The other way is through the experience of others. All functions can benefit from training. As a global society becomes more sophisticated including more complicated problems training and understanding become more vital. Some voters think that health care is the most vital function of a government. Doctors need to be trained and we need the most suitable talent available. At the same time an educated citizen would better understand the basic requirements of maintaining good health. Other voters are concerned we don't spend enough on defense. Again our military needs to have basic education, but perhaps more importantly we need to understand better the problems that lead to military confrontation. Food production is also important, but again we need education to improve our agricultural output and its influence on overall national health. As parents how much do we support our children's education in such areas of encouraging good study habits, avoiding too many distractions and working with the teacher. As citizens do we denigrate teachers as a class? As voters do we question the priorities of our leaders and ask for clarification? Have we stopped learning? We just passed an election that in many people's mind resolved the dilemma of a minority government. The bottom line is that 60% of those who took the trouble to vote against the eventual winner will now live under the direction of the party who gained only 40% of the vote for the next four years. Is that really what we wanted when we went to the polls? I think it might be fair to say that most voted against something. The four parties that lost have more in common with each other (well maybe one exception) than any of them do with the winner. Many people found themselves trying to guess who was the most likely to prevent one party from winning. Others tried to figure out which of the five main parties (and a few less successful parties) best matched their personal philosophy and vision of the future. The results were not unusual in the sense that under our system one group by concentrating its efforts can gain disproportionate results. Those who win (or even almost win) under this system resist any changes, even ridiculing any suggestions to change. Most people just accept it, even though decisions are made against their preferences. In a practical sense one way of dealing with the rules is for parties to join other parties with similar philosophies so that they can avoid "splitting" the vote. The Progressive Conservatives and Reform party took that route and it has worked out well for them. For the voter there were subtle, but significant differences which now are blended together and lost to the voter. There is talk that the Liberals should seek a union with the NDP and maybe the Green Party should join with one or the other. Under the present rules there is some logic to that idea. The voter is often overwhelmed trying to decide who to vote for. In some ways it is easier if there are fewer parties, but in other ways that is not true. There are differences and voters have a wider range of choices when there are more parties. A big concern is the large number of Canadians who didn't bother to vote. Are they all lazy? or stupid? Others found themselves not voting for their preferred choice, but rather strategically against a party they dislike. It is not always articulated, but most of us feel our vote is a waste of time. In some cases we know our first choice is an overwhelming favorite. In other cases we realize our candidate really is very unlikely to win. You can argue that every vote counts for something (encouragement for the future, some added moral authority, maybe even the $2.50 given to the party), however that can seem not worth the effort of rearranging our schedule. Proportionate voting in its many variations has been ridiculed, but generally by those whose candidate won by being the first past the gate post. Some critics point out that if you have too many political points of view nothing important will get accomplished. Well under our present system it is very possible for a winning strategy resulting in one party ignoring the wishes of the majority of citizens and do so in a very self righteous way. I feel more people would vote in the first place and more people would vote their first choice under a reasonable proportional system. At one end of the scale the Green Party finished last with only 3.9% of the votes, but got even less power, 0.32% of the Parliamentary seats. That means that they can be ignored by all the other parties who do not need to consider their concerns. Often a small party's power resides in raising issues of conscience that do force the other parties to adapt their policies. Still the results mean that many voters feel they are not being heard and it really wasn't worth the effort. If I have hit a chord I would suggest you can explore this further at http://www.fairvote.ca You will find that people of all political persuasions see merit in proportional voting. Don't let those satisfied with the present system dominate the discussion. I feel that more people would vote if they knew their vote could really make a difference and help put someone who shares their general feeling a voice where it really counts. I just finished sending off a cheque to the Receiver-General so I am little more conscious of taxes than usual. Ordinarily taxes are quietly deducted from my pay before I get to spend anything. There is a lot of criticism of taxes. How they rob hardworking citizens so others can waste our money, re-distribute wealth thereby causing laziness and that it kills business. I hear some people say the best way is to have a flat tax rate. Others complain that the free market can handle much of what government does better. To all that I say--BALONEY! (I have been told to watch my words). There undoubtedly is a lot of waste and it is true that decisions how to calculate it, collect it and spend are political. I subscribe to a viewpoint I first read through Steven Covey. When we are born we are totally dependent on others to survive and as we get older we gradually become more independent until at some stage we are independent. In truth we are really always inter- dependent and that is our strength. Certainly some people are more commercially talented, more hard working and in some cases more lucky and although I am envious of some of these people I do not begrudge them their success. We take a lot of our fortunate circumstances for granted, but we all in very basic ways are dependent on others. The person with the great idea, willing to work hard and take a risk needs one thing above all else--customers willing to pay. Some people focus on what effort will result in the biggest payoff--actually almost all of us do, but some people are cleverer than others. Is it wrong to try to figure out how you can get the most money for the least effort? Society admires those who take a longer view to find the most worthy results, however the biggest rewards often go to those who can manipulate the most number of people or the largest amounts of money. From the top to the bottom we are all dependent on others. We thrive in atmosphere where talent (and basic skills) are developed in a safe, environment. We thrive when communication flows easily. We thrive when our environment encourages health. We all thrive when positive talent is discovered and developed. If the bottom is hurting the top is missing something although no one can be sure just what. We have a progressive tax system that is under assault. Although the bottom 90% by definition have more votes it seems the top 10% by definition with more money have a louder voice. They supposedly create the jobs, they supposedly work the hardest, they take the necessary risks and they are hard done by. A progressive system actually does treat everyone the same, unlike a flat tax system. An arbitrary standard is set at a point where nobody pays any tax to an income level. It is like an acknowledgement that those at this income level need what little income they have to survive in food, clothing and shelter. Another higher standard is set where income earners pay the lowest tax rate. This acknowledges that people in this income bracket have achieved basic necessities, can afford to eat, have reasonable housing and have some choice in clothing and have some disposable income. At different income levels people have more disposable income and thus can contribute more money to the overall benefit of the country. On the first level we all pay exactly the same--zero. At the next level we all pay the same taxes. At each successive income level everyone pays the same tax rate, but only the higher rate for income above the lower income bracket. Those who have more disposable income after admittedly arbitrary calculations pay more taxes. For all income levels no matter what the total taxable income, the taxpayer pays the same. Tax loopholes are also political decisions. Intended to encourage investments that benefit the whole country. Sometimes they accomplish something worthwhile, other times it is questionable. Why should poor people be allowed to take advantage of the good fortune, hard work, bright ideas and risk taking of the rich? The rich actually benefit more from the government--they benefit from the transportation and communication infrastructure--they benefit from a safe financial environment--they benefit from an educated consumer (or should) and from a healthy labour force (or should)--the armed forces of a country are protecting their larger stack of goods. Too much income inequality is bad for everyone. It all goes back the fact that we as humans prosper best when we recognize our inter-dependence and optimize it. As Oliver Wendal Holmes said, taxes are the price paid for civilization. There is much to be grateful for what a government has done and what it can do. But yes, it is our money that we have consented to be put to good use and we are entitled to supervise that use and argue over how it is calculated, collected and spend it. Being able to pay taxes makes you more fortunate than others. Being able to pay more taxes makes you more fortunate than many others.